Last Saturday the Inner West Council, along with the Rugby League Players’ Association had a special unveiling at Leichhardt Oval of a plaque dedicated to Rugby League legend Dennis Tutty. Dennis Tutty is a legend of the sport and was respnsible for bringing down the leagues unfair transfer policies. When he was playing for the Balmain Tigers in 1969 he mounted a legal challenge against the NSW Rugby League’s policy of withholding a player’s right to switch clubs, even when they were off-contract. As a protest, Dennis Tutty sat out the season which saw in the Tigers’ win a premiership. In 1971, the NSW Equity Court ruled the transfer system was an “unreasonable restraint of trade”, a decision which was also upheld by the High Court of Australia. Players today can thank Dennis Tutty for his tireless pursuit of a fair go for players and gaining their right to transfer clubs and demand more pay. 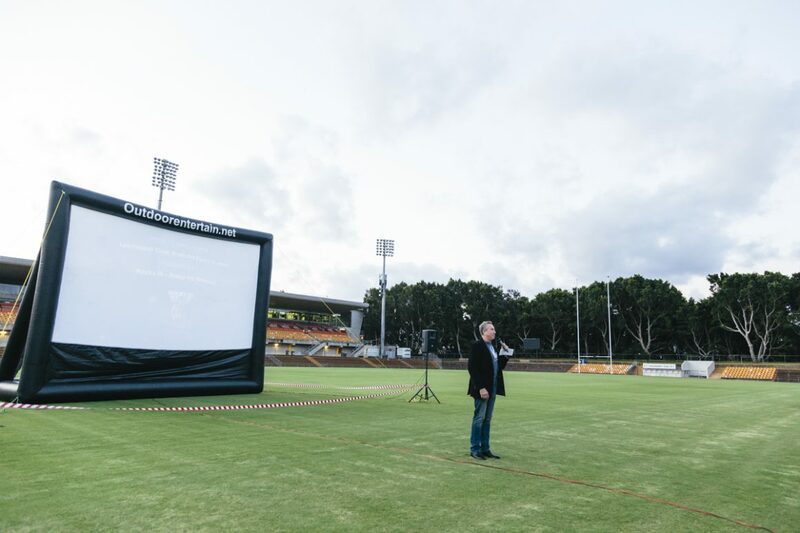 Also on the night a locally made short film entitled ‘Leichhardt Oval – From The Fans’ was screened as part of a special ‘Pics in The Parks’ evening event. Plenty of local fans came out to the famous ground to see Dennis be honoured and to watch the film screening.